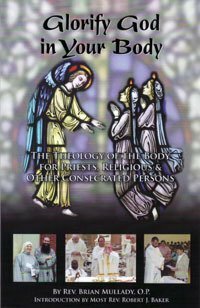 Pope John Paul II has given the Church a great gift in the Theology of the Body. He wished to emphasize that traditional Catholic teachings on marriage and the family are not in any sense rooted in contempt for matter or for the body. This is not only true of those teachings about things directly related to human sexuality and marriage, such as divorce and contraception, but it is equally true of the call of the Christ for certain persons to imitate Him completely by renouncing even good things for the sake of something better, as is the case with those who embrace consecrated virginity or celibacy. In this book, Father Mullady shows how the late Pontiff’s teaching on human sexuality provides profound spiritual insight to deepen one’s commitment to live with “an undivided heart” and to serve as an eschatological witness of the Kingdom.